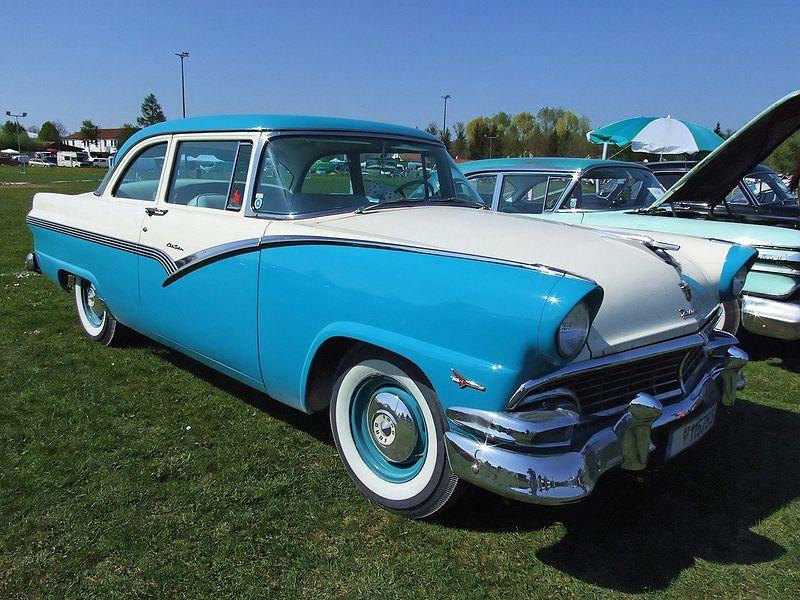 Named for Henry Ford's Dearborn estate, Ford's premium Fairlane line debuted alongside the original Thunderbird for 1955. These new top-line cars helped Ford record its best sales year since 1923. Just 1,999 buyers, though, chose the expensive 1955 Fairlane Crown Victoria Skyliner, with Plexiglas top insert. Only 603 more would select the model in 1956. Ford refreshed Fairlane styling for 1956. A new Victoria “Fordor” hardtop joined the line, while two-door Victoria hardtops gained a new roofline. An enlarged, 312-cid, Thunderbird V8 and factory air conditioning were fresh options. The 1957 models—the newest Fords since 1949—featured a redesigned chassis, which permitted a lower body profile. A new top-series Fairlane 500 and newly mid-range Fairlane shared a lengthened 118-inch wheelbase. In dealerships across America, the amazing Fairlane 500 Skyliner drew crowds with every demonstration of its self-storing metal top. Even now, Crown Victorias rule among 1955-'56 enthusiasts, while the Skyliner retractable hardtop is a '50s icon. Although Ford outsold Chevy for the model year, 1957 Fairlane 500 convertibles and hardtops are shockingly scarce today.